Super Pet Hay n Food Bin Feeder with Quick Locks is the perfect way to keep hay and food clean for your small animals. This feeder features two separate compartments to organize your pet's food and hay. The front troph acts as a great container for food whereas the back contains metal bars and carabiners to lock hay in place and prevent messes. 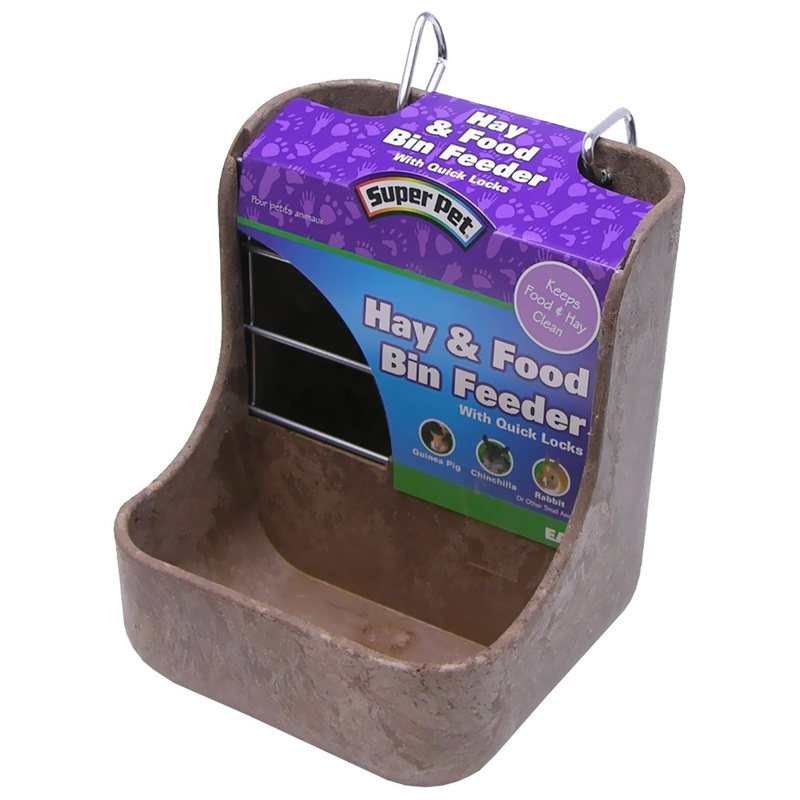 Super Pet Hay n Food Bin Feeder with Quick Locks is the perfect way to feed and care for guinea pigs, chinchillas, or rabbits. The bin itself is made from plastic and wood composite to ensure that it is durable and safe for your pet. You'll love how well this combination feeder works, so order now! Dimensions: 5¾" x 5¾" x 7"